Creating projects that make a difference. Award-winning creativity backed by years of experience to deliver client solutions and award-winning work across multiple platforms. VanDerKloot Film & Television is an Atlanta-based creative services and media company specializing in a wide range of projects and services, from media consulting, to the creation and production of motion pictures and television documentaries, corporate presentations, broadcast commercials, children’s videos and interactive programs. Company founder Bill VanDerKloot grew up in Chappaqua, NY and is an independent director and producer whose career includes short films, television documentaries and theatrical features. 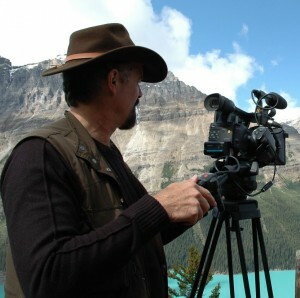 Over the years he has traveled the world producing films on a range of subjects from public sculpture to ethnic history; from southern blues to environmental science. He has won over one hundred international film and television awards, including the George Foster Peabody Award. He created and produced the Atlanta Olympic Film, TIME AND DREAMS, which helped win the bid to host the 1996 Summer Olympic Games. The company recently consulted with architects and UGA’s Grady School of Journalism for a video wall installed in the new Peyton Anderson Forum. VanDerKloot’s team also created a complete digital interactive museum exhibit of thirteen kiosks at the Special Collections Library at the University of Georgia. The team also created new content and seven video displays for the Jimmy Carter Presidential Museum and the Columbus Museum. The company has worked on thousands of projects for such organizations as Invesco, Delta Air Lines, Cox Enterprises, Emory University, Children’s Healthcare, Porsche, McKesson, CARE USA, University of Georgia, Chick-fil-A, US Marines, Coca-Cola, Karastan, FEMA, and Mercedes-Benz, to name just a few. Bill VanDerKloot founded of the award-winning Little Mammoth Media children’s programs, The BIG Adventure Series®, which are licensed in over 30 countries. The latest program in the series, THE NEW BIG PLANE TRIP, about an international flight from Atlanta to London, is currently available on iTunes, Google Play, amazon and a number of specialty retailers. VanDerKloot’s projects have been distributed on such venues as PBS, National Geographic, Turner Broadcasting, CNN, HBO, Showtime, as well as iTunes, Google Play, amazon and Netflix. Based in Atlanta, VanDerKloot founded Magick Lantern in 1990, a video post-production house and digital production studio serving the film and television industry. He sold the studio in 2013 to focus full time on content production. VanDerKloot was the founding director of the Atlanta Film Festival and has written about filmmaking for such publications as American Cinematographer. He was long-time board member and past president of the Georgia Production Partnership (GPP), an industry association responsible for creating Georgia’s wildly successful film tax incentives. He is an active board member and past Chair of the UGA Library Board of Visitors. VanDerKloot has given presentations and lectures around the country including, University of Florida, Georgia State University, New York Churchillians, University of Georgia, Coalition for Quality Children’s Programming, Kennesaw State University, and the New Orleans WWII Museum, to name a few.